The Family of Saint Anthony (or Famiglia dei Santantoniari in Italian) is a IRS recognised 501(c)4 Nonprofit Corporation established under Section 15 Pa.C.S. § 5110 of the Commonwealth of Pennsylvania. 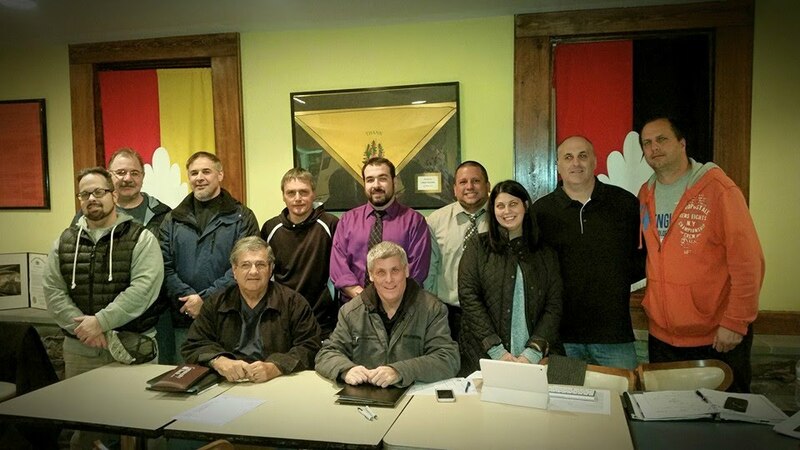 The Family is dedicated to conducting business and celebrations concerning the annual Saint Ubaldo Festival and other functions the group and its members may perform in the continuing celebration of Saint Ubaldo Day, which is held in Jessup, Pennsylvania. It is the only authorized body to conduct business and organize events for Sant' Antonio under the authority of the St. Ubaldo Society which governs the Festival. If you, your family or friends have seen or participated in the Saint Ubaldo Festival and you had affinity toward St. Anthony (you wore black or wanted to), you are welcome to attend our meetings, become a member, help us plan the events and participate. The Race (or quick procession) of the Saints is the Saturday of Memorial Day weekend, but we have meetings, social events, and other activities scheduled all year long, so join anytime. Help keep our Eugubini traditions in Jessup as strong and accurate as possible by joining us and helping us organize the events surrounding St. Ubaldo Day in Jessup! A celebration that's been ongoing 800+ years in Gubbio, Italy and 100+ years in Jessup has to be good! Bring the kids to the parade, St. Ubaldo Day, and join us for the kids La Festa dei Ceri on Sunday.